La scorsa settimana ho condiviso con voi un'idea per una card creata utilizzando cartoncini di recupero, oggi vi mostro un'altra alternativa. 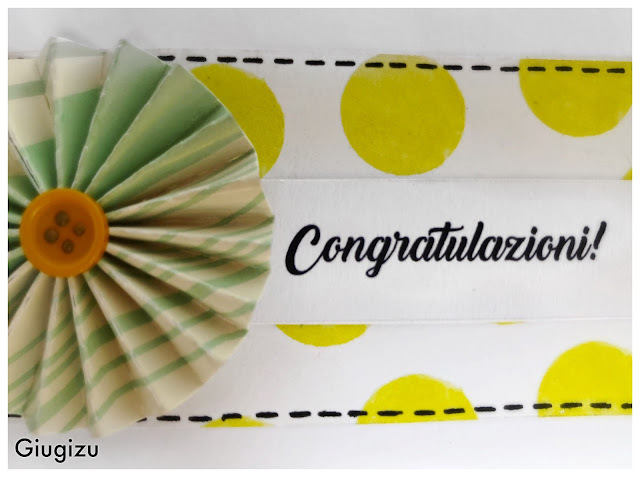 Anche questa volta ho scelto una forma orizzontale per sfruttare al massimo i ritagli ed ho realizzato un biglietto di congratulazioni semplice e colorato. 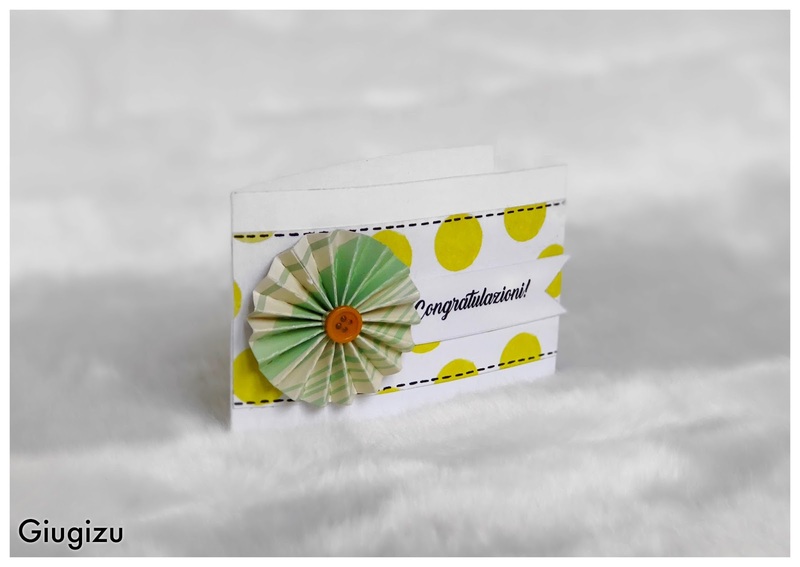 Last week I shared with you an idea for a card made using scrap papers, today I'm showing you another alternative. Once again I went for an horizontal shape to make the most of the cardstock scraps I had and I created a cute congratulations card. 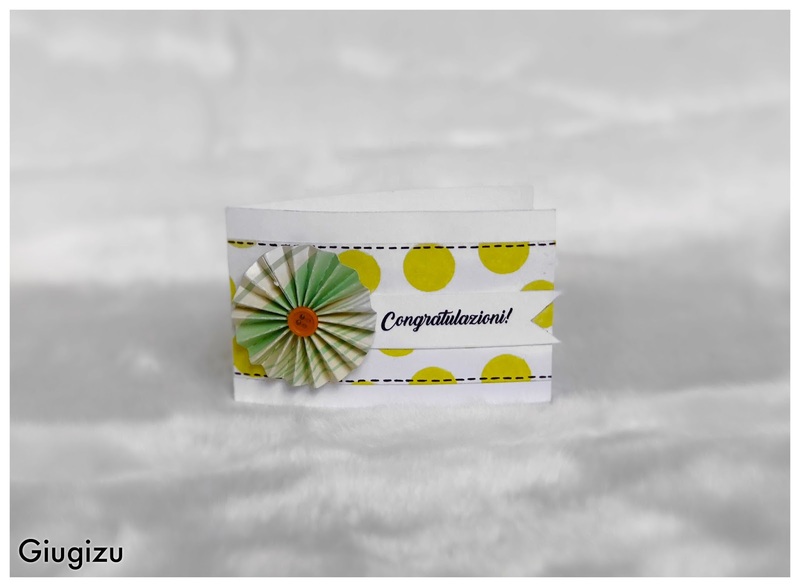 As you can see I went for a minimal layout, I simply adhered a stripe of pattered paper in the center, I added a banner that I designed on my pc on top using foam adhesive together with an accordion embellishment. As last step I drew a stiched line using a black gel pen.